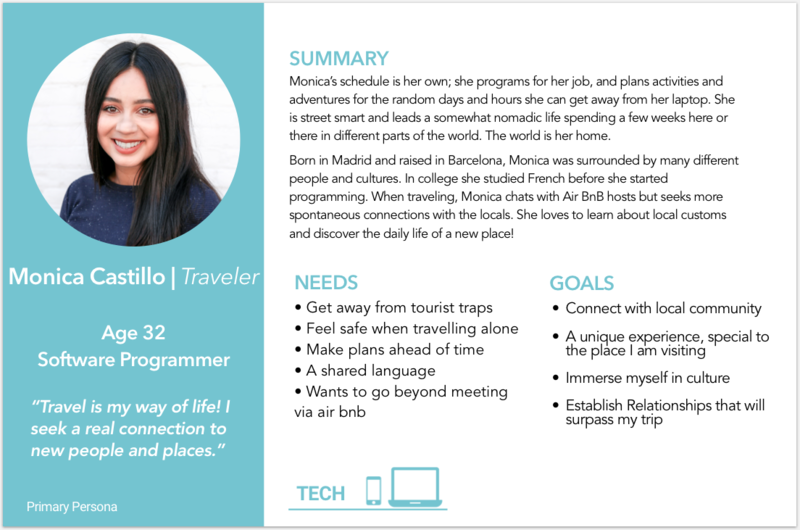 Marjorie, our client, is a huge travel expert and is known in the travel community and amongst her friends for her prowess. 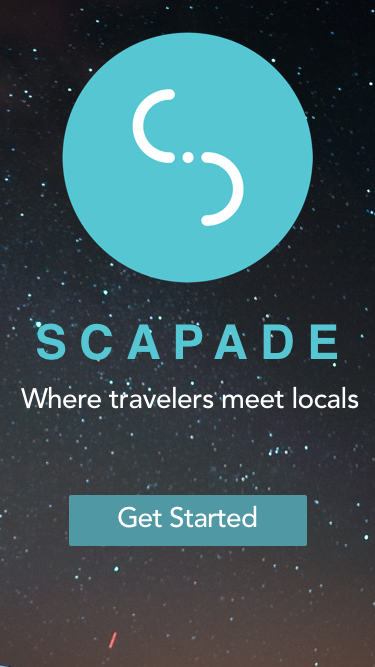 Scapade is a new mobile app born from Marjorie's observation that connection between travelers and locals is lacking and needed. 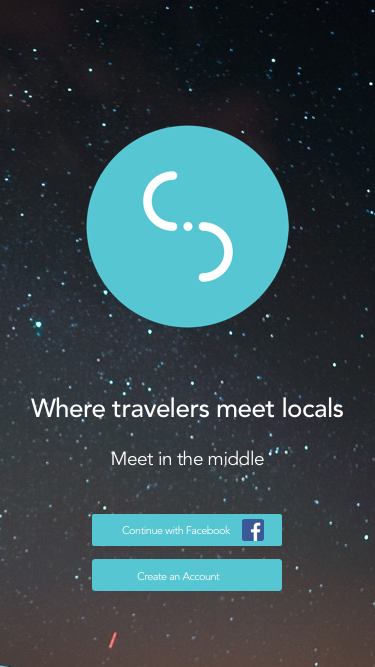 It connects travelers with locals in the communities they are visiting based on general interests that they share. 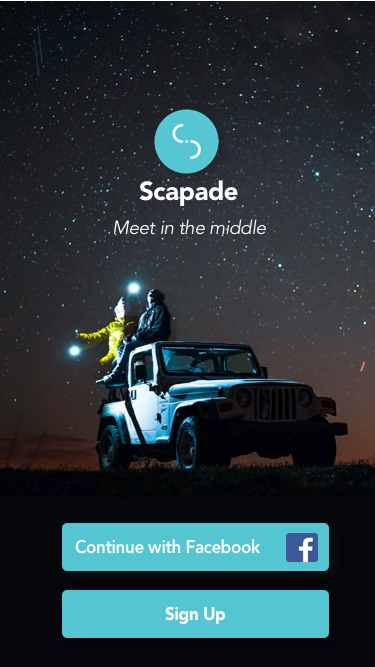 When we were introduced to the project, the app was in a beta stage, set to be sent out to new users in the coming months. We (a team of 3 UX Designers) were brought on to validate the product scope and target users, complete extensive user and competitive research, and design, prototype, and test an improved user experience based on our findings. As a starting point, we considered our client's goals, assumptions, and target audience and derived our own assumptions from there. 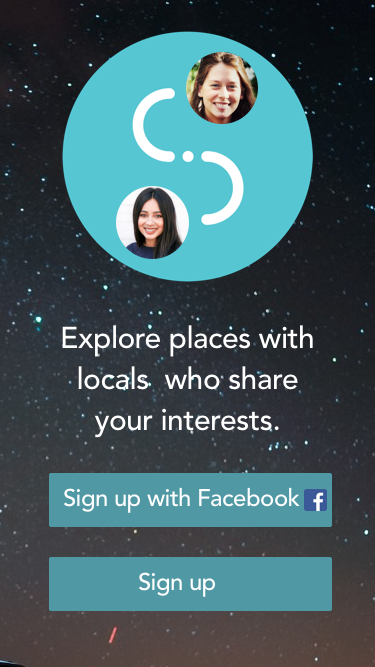 We began the research phase by testing the beta design on target users and conducting a competitive analysis based on competitors such as Airbnb, Meetup, and Backpackr. In order to validate the targer user and to begin collecting users for interviews we sent out a screener survey which garnered around 400 responses. Out of those, we determined target and edge case users based on pre-determined qualifications. 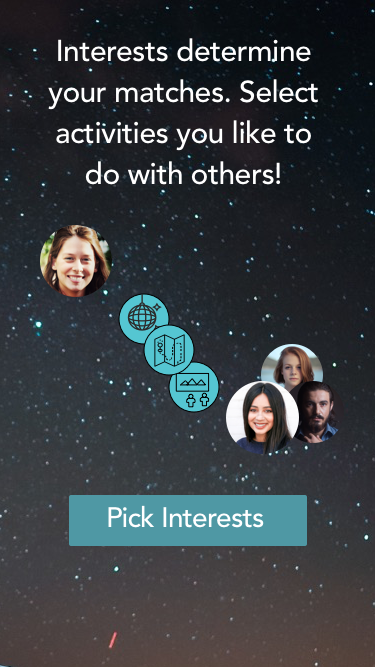 We interviewed 10 users from across the globe and received around 50 responses to a second, more qualitative survey. 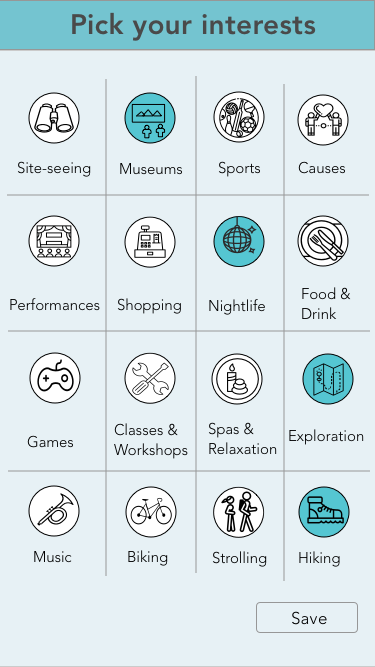 After extracting key insights from research, we decided and prioritized features, designed and prototyped a new app experience, tested our design on target users, and iterated on the design over two rounds of testing. At the end of the project, we delivered a research report and spec doc to our client and her developer along with a presentation communicating our process and design recommendations. 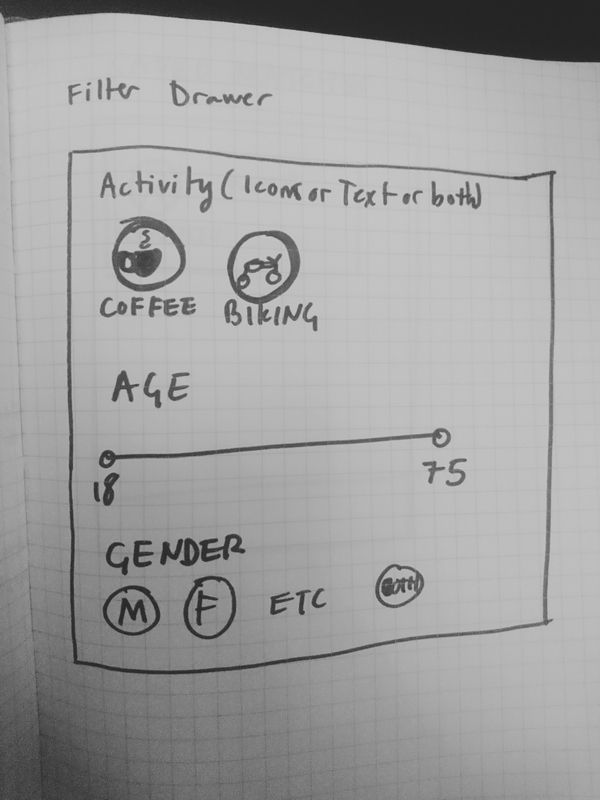 Wanting to move away from a dating app feel based on user feedback, we started sketching with a listing style approach to matching. 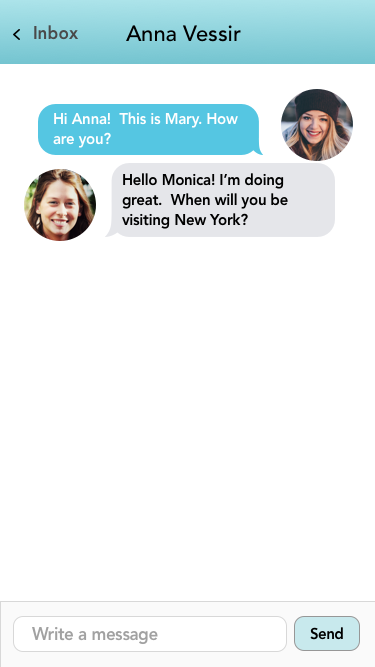 After prototyping and testing our first design with users, we found they were receptive to the listings approach, but wanted more information about the potential match without opening the full profile. 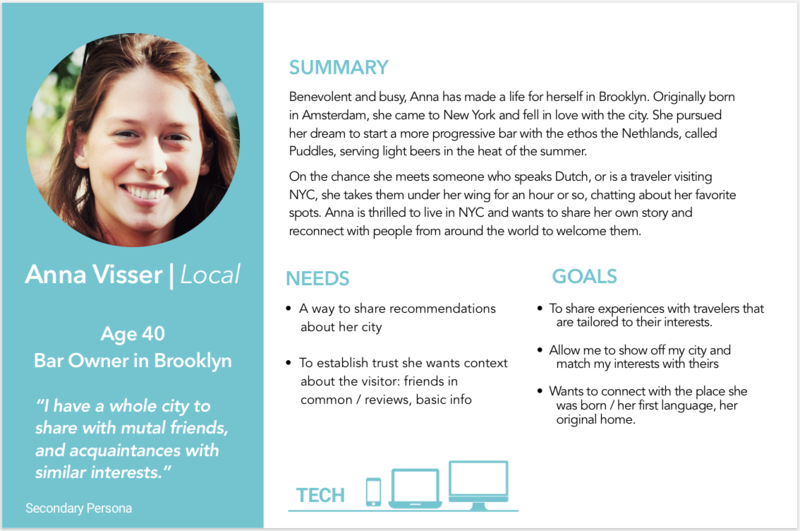 We addressed this in our first iteration through more detailed profile cards. 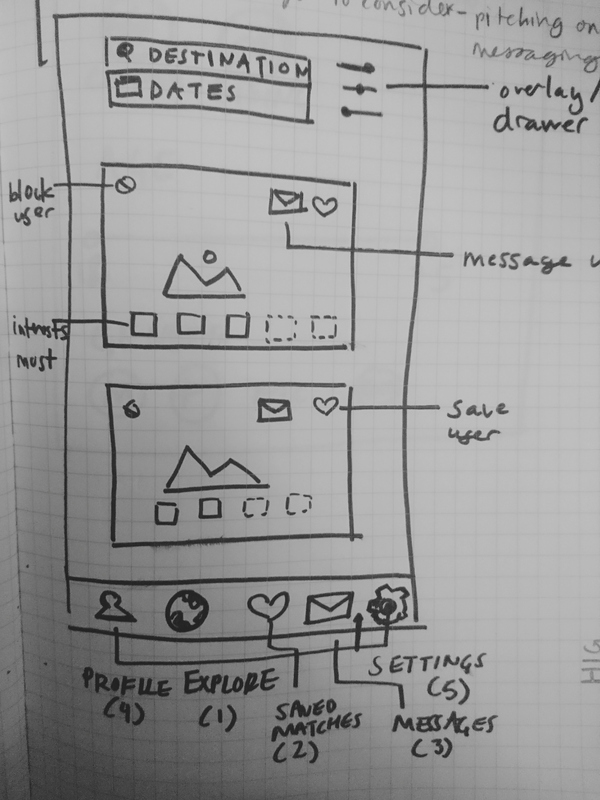 After a second round of testing, we found that users were disoriented and confused about the function of the app, so we introduced a simple and descriptive onboarding process in our final design. I'd love to discuss this project further! Feel free to contact me here: allitoussaint@gmail.com or check out another of my projects here﻿.